A Secret Sauce for Low-Income Housing Mobility? When HUD started rolling out new regulations to implement the Fair Housing Act’s mandate to “affirmatively further fair housing,” public housing authorities (PHAs) were the logical place to begin. Advocates have long sought to make the housing choice voucher (HCV) program a vehicle for driving systemic change in patterns of housing discrimination. Most of the estimated 3,400 PHAs in the U.S. manage a supply of vouchers, which permit families to seek affordable units anywhere in the U.S. Unlike project-­based subsidies, which are tied to specific rental units, HCV households have mobility built in. The HCV program was formerly known as Section 8, but HUD changed the name some years ago to distinguish the program from its project­-based cousin. Requiring PHAs to enable mobility may be the fastest way to realize the goal of affirmatively furthering fair housing, but it’s still not simple. Changing entrenched policies and practices will take advocacy inside and outside these systems. Tammy Kim, in an Al Jazeera article entitled “The Section 8 voucher trap,” documents the efforts of a Yonkers family trying to use an HCV for genuine mobility. The story also features the efforts of a private nonprofit, Enhanced Section 8 Outreach Program (ESOP), to help Kendra Rose make a move from a racially and economically impacted community to an “opportunity” community in affluent Westchester County. HCV households that are making a move to an opportunity community benefit from personal supports, not just institutional supports. Reliance on commercial home search organizations may be problematic. Protections for HCV households against landlord discrimination would be very helpful. Let’s look at each issue in more detail. HCV households benefit from personal supports for making non-traditional moves, not just institutional supports. Nonprofit advocates were front and center in propelling the Obama administration to adopt a new AFFH policy, and nonprofits will lead the way to making that promise a reality for families in communities all over the country. Ms. Kim profiles ESOP, a community-based nonprofit that assists HCV home-seekers in Westchester County. Tenant Kendra Rose was drawn to ESOP by an enigmatic flyer stuck into a packet of paperwork she received from Yonkers Metropolitan Housing Authority. She called the number and became involved with ESOP’s efforts to support her right to choose mobility. Like housing mobility programs around the country, ESOP grew out of a class action suit against Yonkers Municipal Housing Authority (YMHA) and Westchester County, which alleged that the policies of the defendants were perpetuating racial segregation. From that advocacy action in 1993, ESOP has evolved into a social service agency that can pay enhanced subsidies and real estate broker fees in selected zip codes. ESOP staff also forms a relationship with their program participants and has a stake in the households’ success. When called upon to make life-changing moves with limited experience using an unfamiliar program with complex regulations, having an advocate at your side can make all the difference. Less hostile in this case may also mean more desperate. Advocates expect that, as AFFH regulations take effect beginning later this year, local PHAs may be challenged to find better ways to open up the search process. Some may be encouraged by advocates or HUD to engage the services of organizations like ESOP. Protections against landlord discrimination against HCV households could be very helpful. 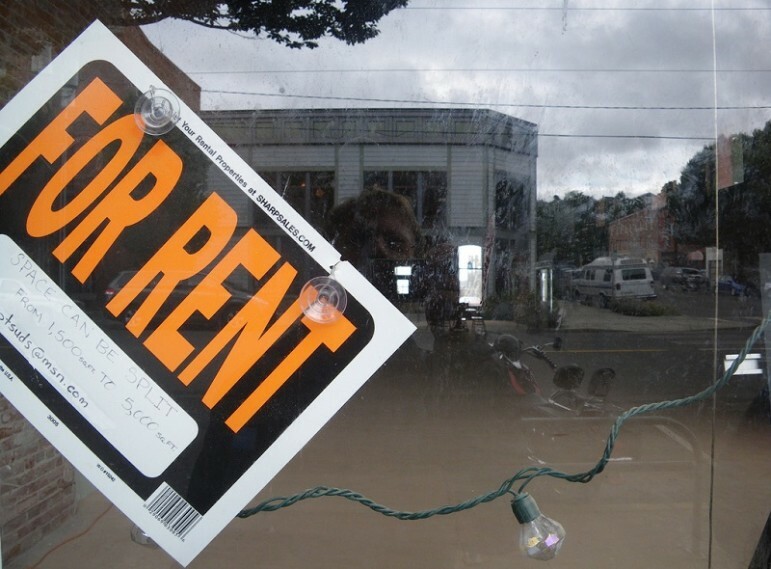 In the article, Ms. Kim notes, “In whiter, more affluent neighborhoods, rentals are in short supply and landlords often refuse to take Section 8.” Because HCV households are not specifically protected in the Federal Fair Housing Act, it is easy for landlords who are intent on excluding African Americans to advertise “no Section 8.” As outlined in an earlier NPQ article, some communities are enacting local “source of income” ordinances to protect voucher households from arbitrary discrimination. A new campaign uses public service announcements to highlight the positive social values that public housing (often denigrated, of course) can have. Some videos have had modest success, but none have gone viral so far.